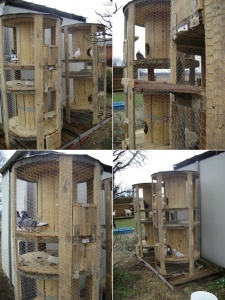 What To Do With Old Wire Spools? 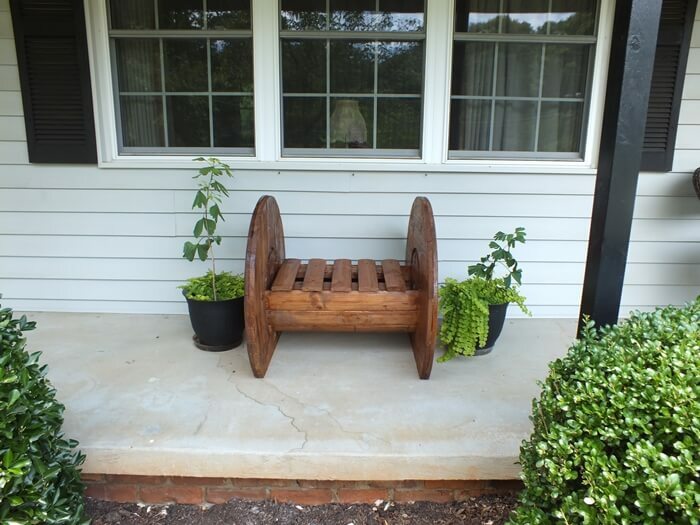 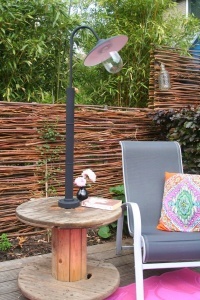 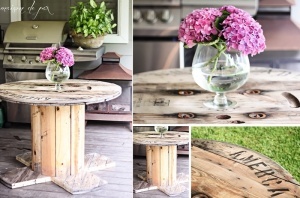 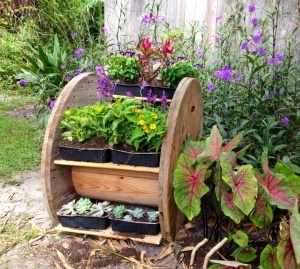 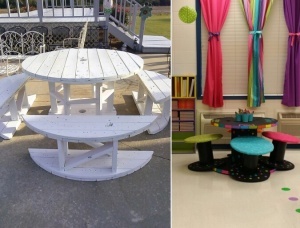 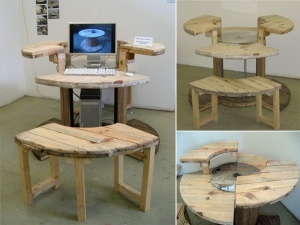 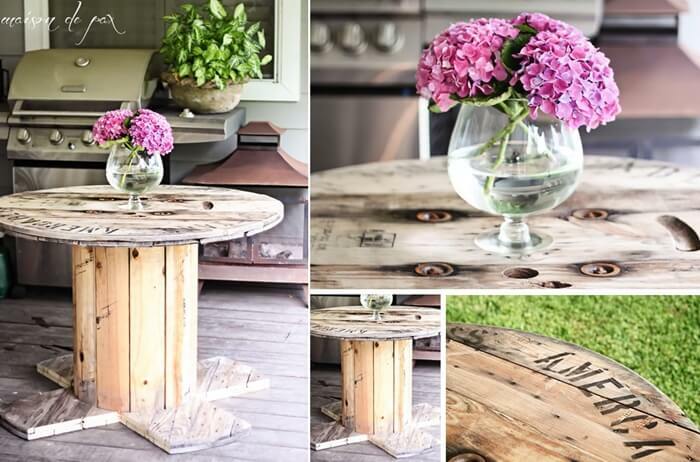 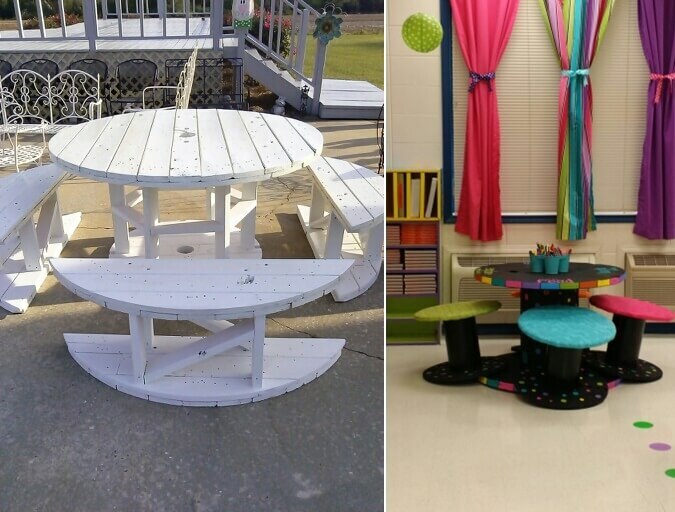 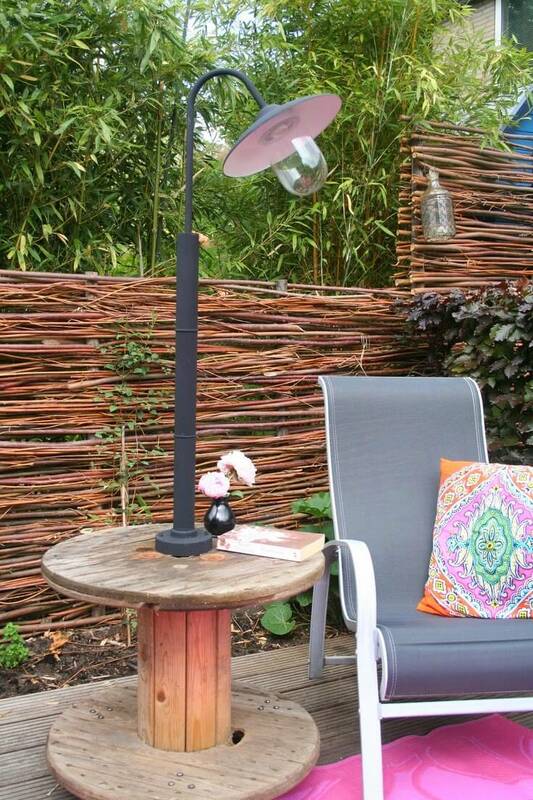 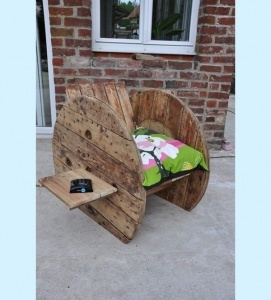 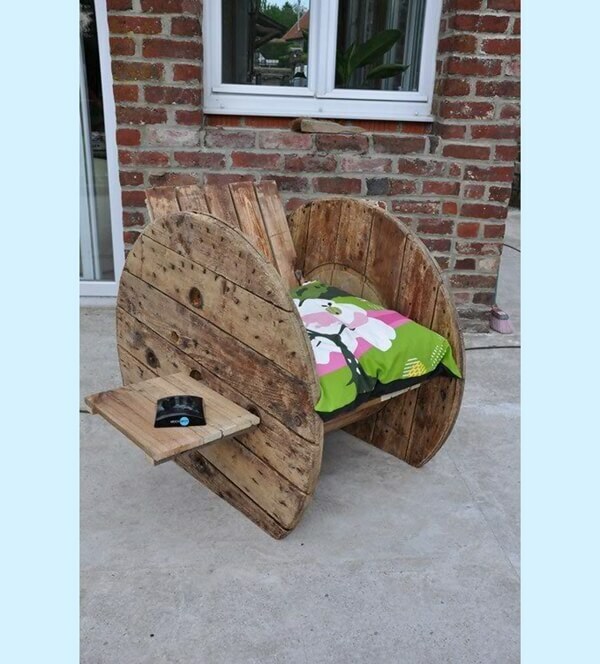 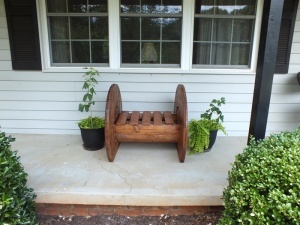 Rachel at Maison De Pax has shared a wonderful outdoor table made from an old spool. 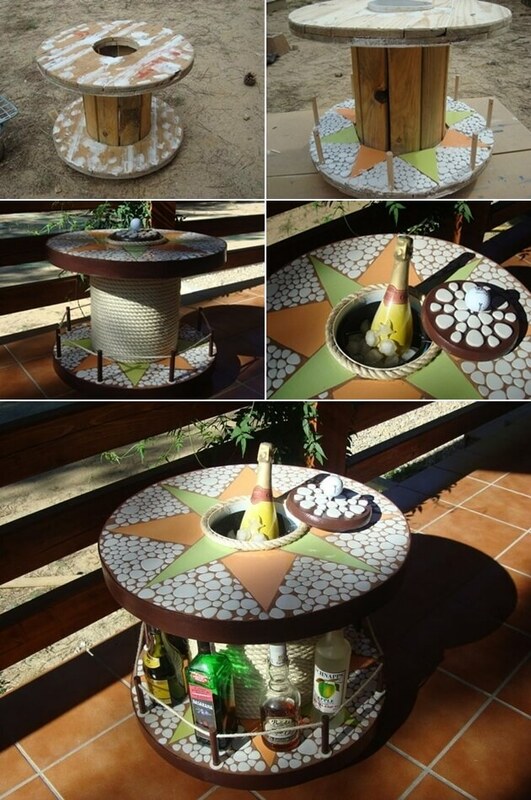 If you observe the design, it is ingenious in a way that it is cut from the bottom in such a manner that chairs can be easily tucked in at the time of eating. 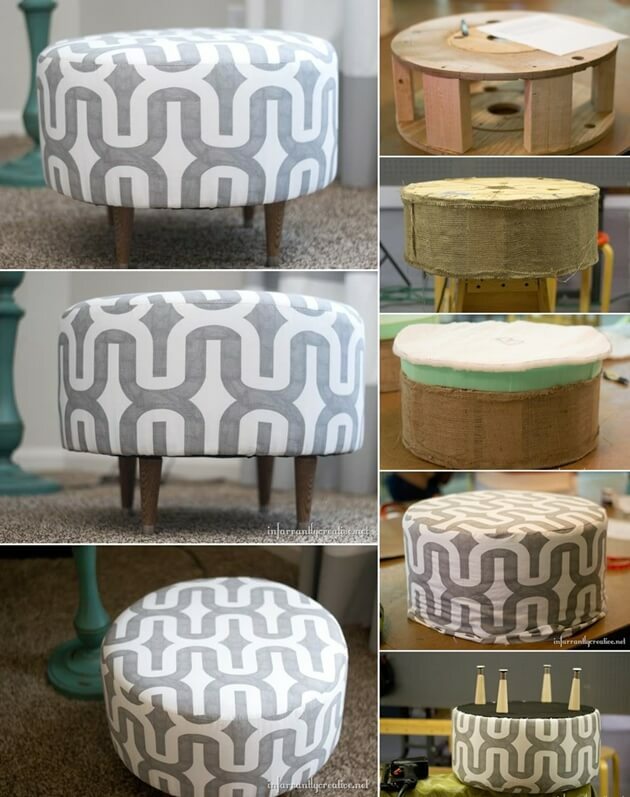 Beckie at Infarrantly Creative has shared a tutorial of transforming a spool into an upholstered ottoman that you can use to adorn your living room with. 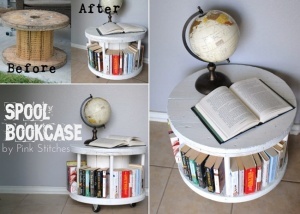 Pink Stitches Blog has shared an idea to use an old cable spool as a bookcase to display and store the collection of your beloved books. 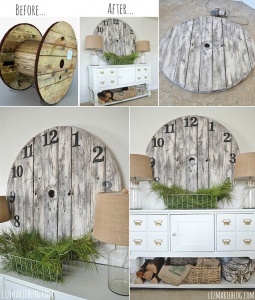 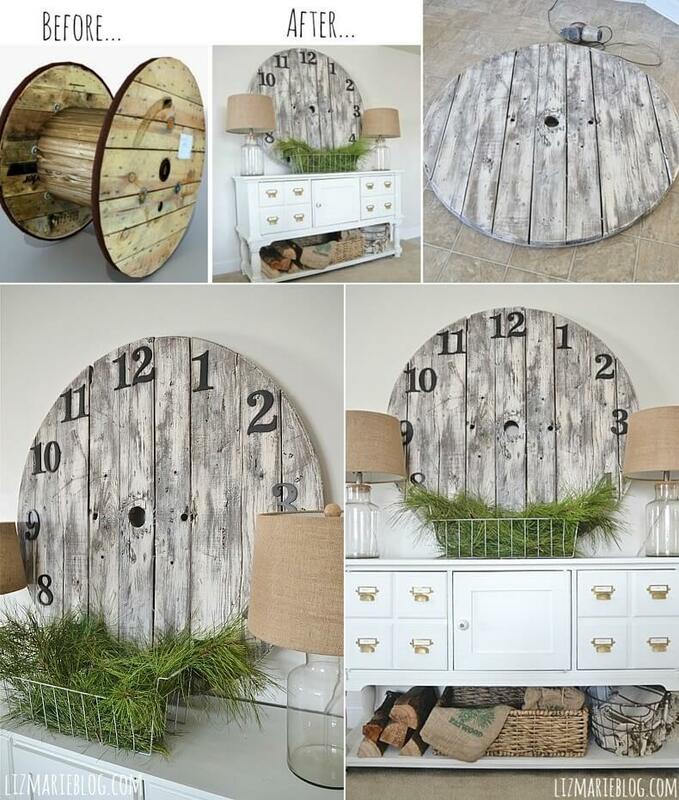 Liz Marie at Liz Marie Blog has created an incredibly beautiful wall clock by recycling the round part of a cable spool. 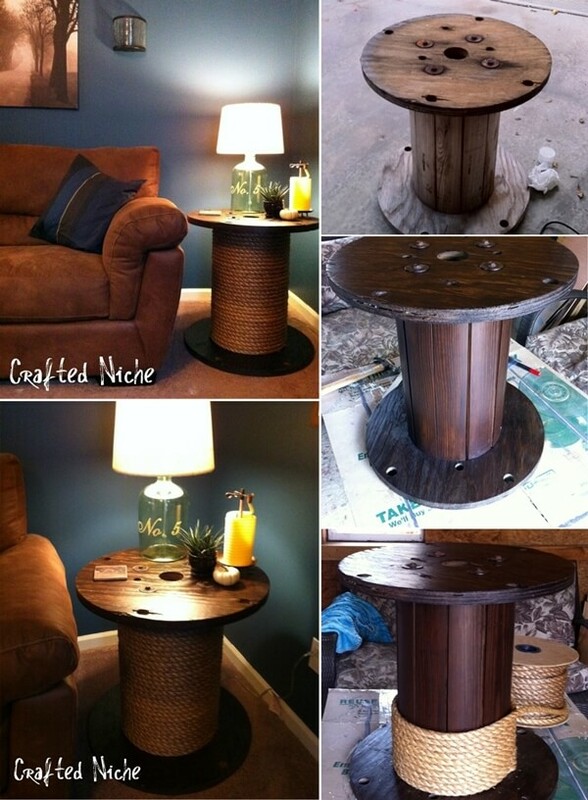 Dana at Crafted Niche saw a spool like side table at Ballard Designs for a whopping high amount of $200 and then she wore her creativity cap and transformed a small spool into a side table by staining it in a darker shade and then wrapping rope around it. 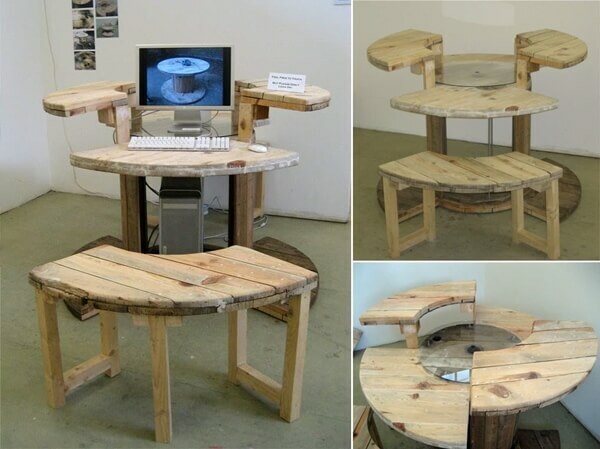 Two thumbs up Dana! 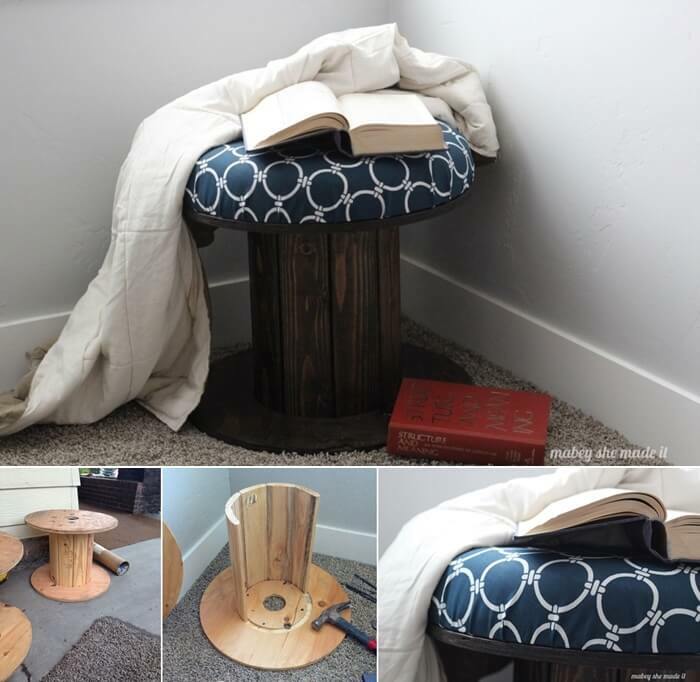 Lisa Mabey at Mabey She Made It re-imagined a cable spool into a stool that she can use to sit by the side of her window and read. She stained the spool and added a cushion at its top and voila! 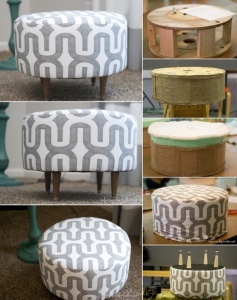 A cozy stool was ready. 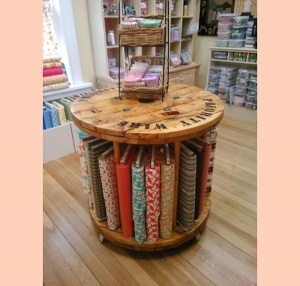 Leesa Spieth at Pinterest has cleverly utilized a spool as it as without any tweaks into a fabric storage and display holder. 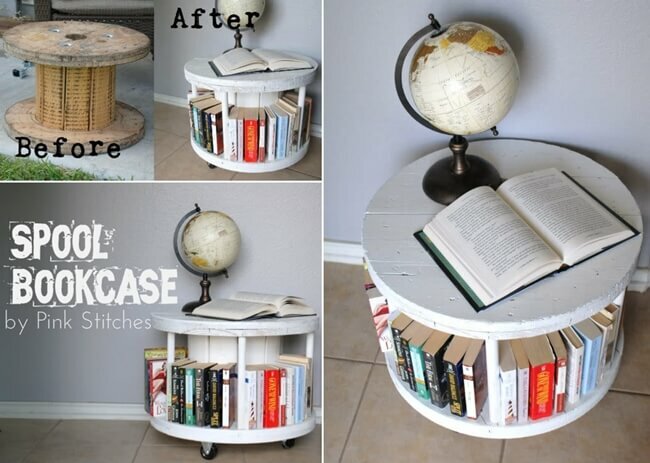 That seems so interesting! 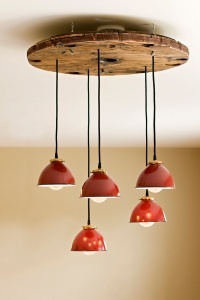 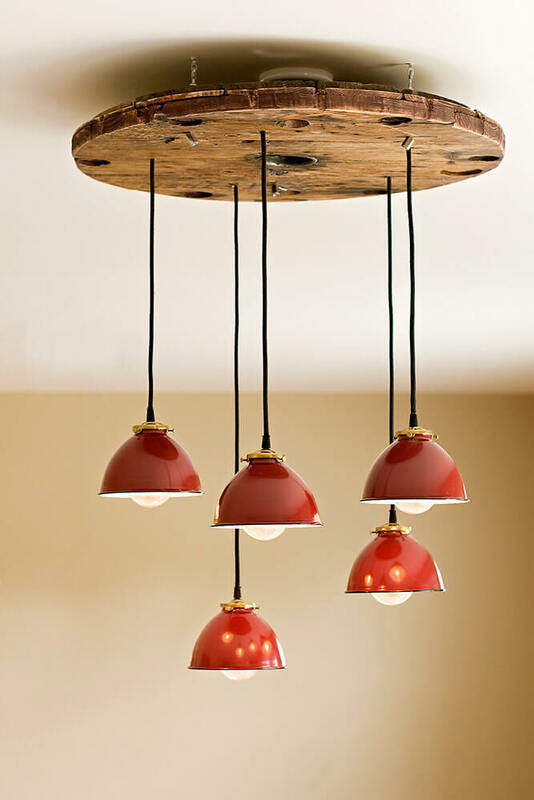 Etsy Shop Olde Brick Lighting has recycled a spool top to serve as a base for a cool industrial pendant chandelier.